New Orleans is situated both on the same degree of latitude as Alexandria on the Nil and on the 5000 Km long Mississippi river that was used for transportation. What leads to the tropical climate with 11 months of growth and a sumptuous vegetation. New Orleans was originally planed with the purpose of being a port for future trade from upriver Mississippi. Founded in 1718 by JeanBaptist de Bienville, engineers had plenty of problems with the physical conditions of swamps and mosquitoes. First governor Marquis de Vaudreuil tried to create a second Versaille. Though he was not a good administrator he created social opposites with luxurious French elegance on the one gamblers, prostitutes and adventurers on the other hand. After the designation as Louisianas capital in 1722, more respectable residents arrived but the economic growth of the unprofitable harbour stayed tiny. In 1763, due to this fact, France ceded New Orleans and the Louisiana Territory west of the Mississippi to Spain, however only in the year 1769 governor Alexander O`Reilly took possession of the province and the city. From then on everybody enjoyed peace and growing prosperity, when trade arose with the British colonies, despite of Spanish prohibition. 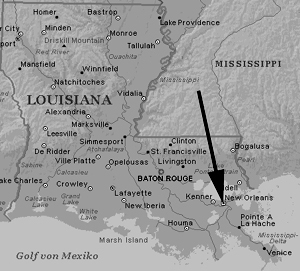 Louisiana was returned to France in 1800 but soon sold to the United States in the Louisiana Purchase of 1803. The English tried to conquer New Orleans during the War of Independence but were beaten by general Andrew Jackson and pirate Jean Lafitte in 1815. The next 40 years can be seen as the golden age of New Orleans as a great cotton port. 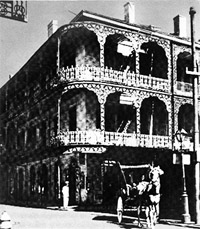 Within a few years New Orleans population skyrocketed to 116,375 in 1850 while the local commerce flourished and the port ranked 4th in the worlds top ten. During the Civil War, New Orleans joined the Confederated force, but was captured by the Union in 1862 and put under military administration.The port reached a low ebb shortly before World War I because of increased railroad transportation. After World War II though, New Orleans became the second important port of the United States but also an important art centre. 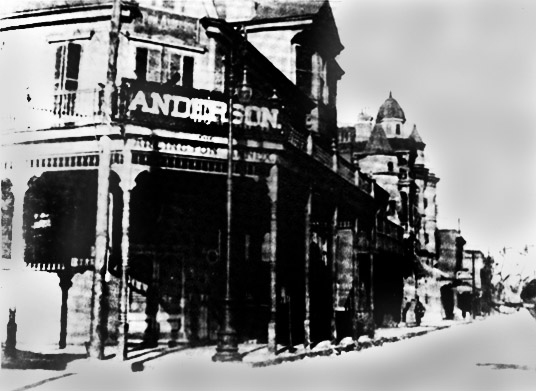 New Orleans has been a melting point of cultures, ever since the day of its foundation. Arcadians, religious immigrants from Canada, soon became known as Cajun people and mixed themselves with the Creoles, ancestors of Spanish and French inhabitants. Later blacks with named themselves Creoles trying to be like the privileged whites. Nowadays cultural life is a synthesis of black and white contributions. The educational system is based on white values while blacks rather influenced music, art and craftsmanship. All New Orleans inhabitants love to spend their day amusing themselves by dancing or just listening to music and having a good time. The French Quarter is the oldest district of New Orleans with its beautiful houses built in French and Spanish colonial styles. During the Spanish reign it became even more beautiful because of diverse restorations due to two fires. The balconies are real masterpieces of craftsmanship and many houses have beautiful patios. Bourbon Street is famous for its bars, restaurants and of course Jazz cafés while the French market offers a huge amount of different shopping possibilities. The New Orleans Carnival season beginning shortly after Christmas till the day before Ash Wednesday, with almost daily parades of local Carnival committees. The Rex parade marks the climax with almost 1 million spectators from all over the world.